The great thing about working in a kitchen is the tradition. From the techniques used to prepare dishes to the uniforms chefs wear, everything has a history. It’s part of what makes being a cook or being a chef so incredible; when you step behind the line of a kitchen, you are becoming part of a historical traditional that dates back to over 2,000 years ago. This is not a definitive history of the toque (pronouced "tock," in your best French accent) but simply a collection of historical trivia. Believe whichever toque theory you choose! 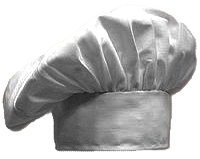 There are multiple theories about the origin of the chef's hat, or toque, and there is probably some truth in all of them. 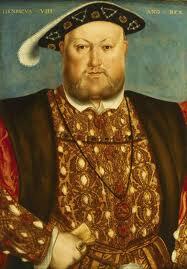 The first origin story has the chef's hat originating when a royal cook in the employ of King Henry VIII started going bald. Henry found a hair in his soup, had the cook beheaded, and ordered the next chef to start wearing a hat (the cook was only too happy to comply). Today, this problem is handled with the much less traditional (and much less glamorous) hairnet. While few cooks embrace the hairnet as a fashion statement, they do go a long way in freeing up a chef from the worry of wayward hairs so he or she can focus on the real star of the show: the food. Others say the toque can be traced back to the seventh century A.D., when chefs were considered learned men (remember that "epicurean" derives from the name of a Greek philosopher, Epicurus). Learned men didn't always get the respect they deserved, though, and were often persecuted; at such times, they often took refuge in the local church, where they donned the same costumes that the local clergy were wearing, hats and all, as a disguise. Eventually, not wanting to incur the wrath of God any more than the wrath of the local savages, they started wearing white hats instead of the black hats worn by Greek Orthodox priests, and the toque was born. Another prominent story about the history of the toque is that it comes to us from the ancient Assyrians. Since one of the more common ways to do in His Royal Highness back then was to poison his food (not to mention the fact that spoiled food was more common in the days before Whirlpool), chefs were chosen carefully, and treated very well, often even holding rank in the king's court. Legend has it that the chef's high position entitled him to wear a "crown" of sorts, in the same shape as the king's, though made out of cloth and without all of those bothersome jewels. The crown-shaped ribs of the royal headdress became the pleats of the toque, originally sewn, and later stiffened with starch. With all the variations of the hats worn by chefs around the world, a little creativity and design was needed to get to the crisp white cloth hats, also known as toques blanches, we’re familiar with today. In the 1800s in France, a chef named Marie-Antoine Carême decided that chefs deserved a specific uniform, and white was his color of choice, since it signified cleanliness in the kitchen. Each station and rank in the kitchen had a different height hat. 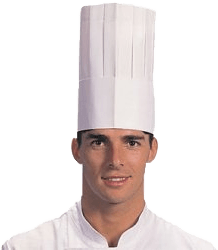 The chef, being the highest ranking of all kitchen staff, wore the tallest hat, much in the same way that papal hats are used to designate class and standing. Rumor had it that Carême’s hat was 18 inches high and had to be reinforced by cardboard to keep it standing. Speaking of pleats, the most widely circulated legend about the toque appears to be one concerning the number of pleats. From "A Pageant of Hats, Ancient and Modern," by Ruch Edwards Kilgour, copyright 1958: "It was regarded as natural that any chef, worthy of the name, could cook an egg at least one hundred ways. 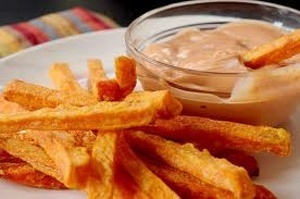 The most-renowned chefs often boasted that they could serve their royal masters a different egg dish every day in the year, some of them so cleverly prepared, that aside from being highly palatable they had flavors as widely different as completely diverse kinds of foods. Today, noted chefs are seldom called upon to prove their prowess in this manner. Nevertheless, they still wear one hundred pleats on their hat, the old-time symbol of their skill in the egg department." The toque has changed many times over the years, but most stories about its origins are variations on one of the two above. Since the most dramatic changes in style and shape are attributable to the French, I'd be remiss if I didn't include something from a snotty Frenchman regarding the decline of toquish excellence. Roger Fessaguet, a previous co-owner of La Caravelle (which, I believe, is in New York), laments, "American chefs don't wear a toque. Could you think of a policeman without a hat? That is part of the full uniform. I still have 12 uniforms. In the old days, I used to send my toques back to France aboard French Line ships, to Havre, where they were washed, ironed and starched by women who knew exactly what to do." Yeah, and I'll bet he walked five miles in the snow to his restaurant every day, and ten miles back home. At the turn of the century, M. A. Escoffier, known as "The Chef of Kings and King of Chefs," followed in Careme's footsteps and made the kitchen even more streamlined and organized. 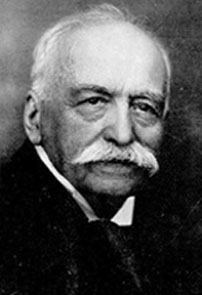 Escoffier added the chef d'partie position which is still in use today, created over 10,000 recipes, and invented the a la carte concept which made fine dining more affordable to the masses. He also helped to create an image of professionalism for chefs, by requesting that his employees wear jackets and ties when off duty, stop smoking, drinking and swearing at work, and he encouraged them to obtain higher education. The attire worn by these chefs was still much the same as in Careme's day, but Escoffier's attitude helped to turn the uniform into something people respected, not just a drunken working man's outfit that happened to include a funny hat. Escoffier opened restaurants in France, England, and worked all over the western world, taking his ideals along with him and transforming our perception of the "chef."